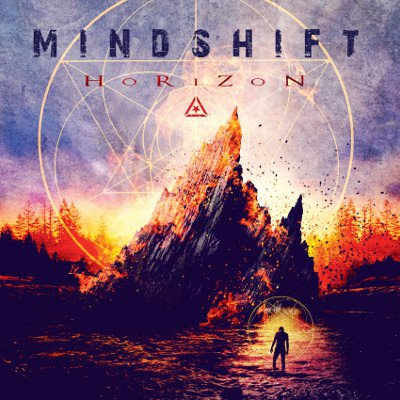 Combining elements of modern metalcore, djent and prog-metal, Horizon, the sophomore entry from Sweden’s Mindshift, is a searing smattering of blistering riffs and concussive drumming, capped off with stunning vocals from frontman Marcus ‘Mao’ Uggla, whose impressive ability to flip a switch and immediately transition from clean melodic refrains to menacing lead throated barks leads Mindshift into battle time and time again throughout Horizon (“Arise” is a nod to Suicide Notes and Butterfly Kisses-era Atreyu with scorching guitars, scathing vocals and melodious hooks, the militant “Horizon” is as caustic as it is venomous, the stomping “My Revenge” would put a smile on Memphis May Fire’s Matty Mullins’ face, the patently heavy opus “A Thousand Scars” might be the best djent track Meshuggah never wrote). And Horizon is more than just metal for metal’s sake – this record has a meaning. It was penned in part in response to the ‘Charlie Hebdo attack, the brutal massacre at the Bataclan Concert Hall and the senseless wars in the Middle East.’ While Horizon is about two-three tracks too long (not counting instrumental opener “Origin”) and there may be times throughout when the argument could be made that things get too djent-y for their own good, there’s absolutely no arguing that Horizon is a striking record, one that should help to cement Mindshift’s foothold in the U.S. metal scene.